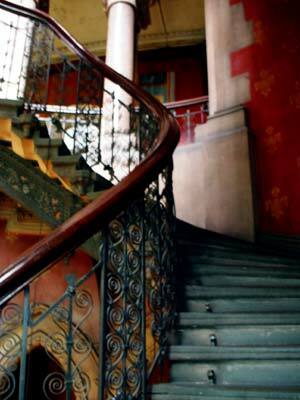 Detail from the magnificant 'Garnd Staircase' at the former Midland Grand hotel, St Pancras. The building ceased to be a hotel in 1935 and its palatial interior was used to house railway offices. The building has been lying empty for the past 20 years, but there are long-overdue plans afoot to restore it to its former glory.